Union Printed, High quality, long lasting "Disposable Diagnostic Penlights" The pre-focused pinpoint lens directly illuminates eyes, ears and throat. Features a strong Metal clip that can be fixed on to your shirt or pocket allowing for easy and convenient access, Activation is made simple by depressing the pocket clip, Manufactured with strong and durable plastic for long time daily usage. 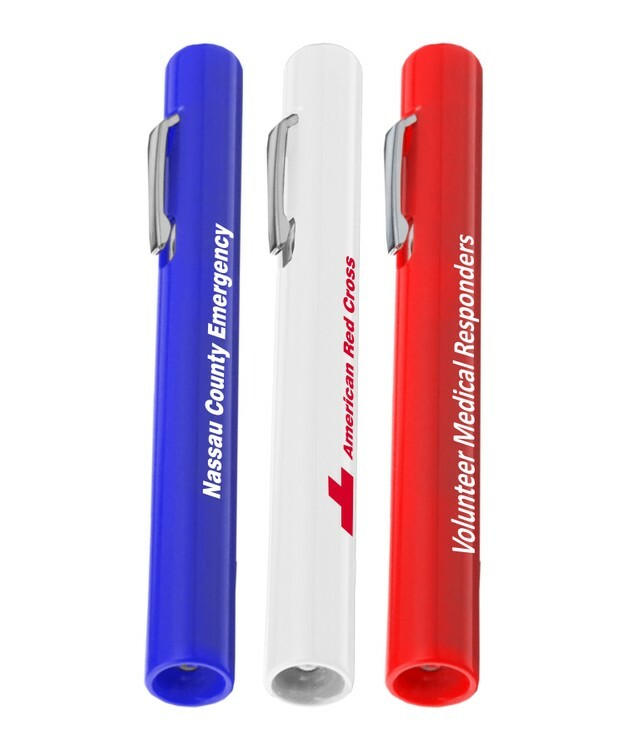 A Perfect Give-away Low Cost Promotion, for hospitals, medical stores, emergency services, rescue teams, Etc. Measures 1/2-inches diameter by 5-inches length. Decorated in our Union Shop - Union Bug Available at No Charge! • Imprint Area: 2.5" x .5"